Let us bring a touch of tranquility to your backyard. Whether you’re seeking a home lagoon or an ambitious water park, our team have the expertise to design, craft and maintain a vast range of swimming pools for clients across Texas. If you live in the stunning landscapes of Marble Falls, we are experts at creating pools that reflect the personality of our clients and the surrounding environment – right down to the last detail. Once you’ve decided on your custom shape and other design features, you’ll have free rein to enhance your pool with custom accessories. 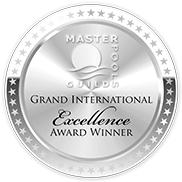 As members of the elite Master Pools Guild, we’ve been recognized for our high standards of swimming pool installation and design, along with our superb business ethics. We design and install a broad range of pools, including: above ground swimming pools, indoor/outdoor swimming pools, freeform, geometric, Lautner edge, hot tubs, spas, and many more. To discuss your project with our friendly advisers, simply get in touch today – we welcome all ideas and concepts.